The Santa Clara Police Officers' Association expresses it's deepest condolences to the family of Officer Kenyon Youngstrom. 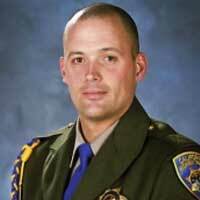 Officer Youngstrom was a 7 year veteran of the California Highway Patrol assigned to the Contra Costa area. He was a married father of four children.